S (Scripture): Mark 14:66 Now while Peter was below in the courtyard, one of the high priest’s slave girls came by. 67 When she saw Peter warming himself, she looked directly at him and said, “You also were with that Nazarene, Jesus.” 68 But he denied it: “I don’t even understand what you’re talking about!” Then he went out to the gateway, and a rooster crowed. 69 When the slave girl saw him, she began again to say to the bystanders, “This man is one of them.” 70 But he denied it again. A short time later the bystanders again said to Peter, “You must be one of them, because you are also a Galilean.” 71 Then he began to curse, and he swore with an oath, “I do not know this man you are talking about!” 72 Immediately a rooster crowed a second time. 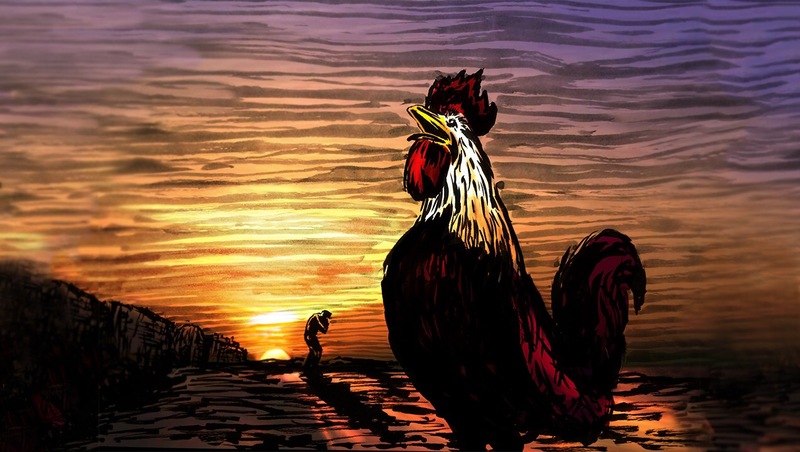 Then Peter remembered what Jesus had said to him: “Before a rooster crows twice, you will deny me three times.” And he broke down and wept. O (Observation): Jesus predicted that Peter would deny him in Jesus’ greatest hour of need. This is what happens in this text. Peter is questioned, but he distances himself from Jesus. He lets Jesus down. And he knows it. A (Application): So often, I’ve let people down. I’ve let family and friends down. I’ve let Jesus down. Having let Jesus down, how is it that God still wishes to love me? In a word: GRACE! My obedience only comes as the outflow of God’s grace. It never works the other way around (from my obedience into God’s grace). I am FIRST claimed by God. That is my identity. Then, and only then, could I ever wish to be obedient. And even then, I will falter. Those we read in scripture who are obedient to God always receive some type of grace first: Abraham receives promises from God; Moses has the “I AM” guiding him; the disciples have the Son of God to lead them. As we hear God’s call, let us be reminded that grace ALWAYS precedes our calling. Always. To what is God calling you today? P (Prayer): Lord, you are gracious and merciful. In our weakness, redeem us. When we falter and fail you, reconcile us to yourself. Amen. This entry was posted in Digging Daily and tagged Fail, Grace, Obedience. Bookmark the permalink.